New Brunswick, NJ, November 10, 2015 ― Are you a New Jersey business — large, small or in-between — that conducts business with or has an interest in doing business with the state’s life sciences community that has a significant presence throughout the state? If yes, you are cordially invited to the New Jersey Life Sciences Vendors Alliance’s (NJLSVA) 2015 Annual Procurement Conference, which will be held on Wednesday, November 11 at Forsgate Country Club in Cranbury, New Jersey. Co-sponsored by the MID Jersey Chamber of Commerce, the half-day event will start with a continental breakfast and networking at 8:00 a.m., and the program will run from 8:45 a.m. – 12:30 p.m. Supporting more than 250,000 spin-off jobs throughout the state’s economy. The vendors who conduct business with New Jersey’s life sciences community—are not only a supplier, they are a member of New Jersey’s life sciences sector and play a key role in sustaining and expanding an industry that is essential to New Jersey’s economy. Admission to the annual NJLSVA event is free; however, you must register in advance due to limited seating. 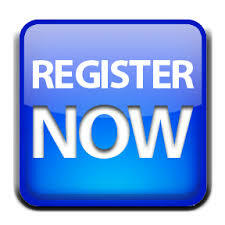 To register for the free Annual Procurement Conference on Wednesday morning, November 11, please click here or visit NJLSVA’s website at http://njlifesciencevendoralliance.org. For additional information, please contact Haskell Berman, HINJ Senior Vice President – State Affairs, at 732-729-9619. Founded by HINJ in 2005, NJLSVA is a coalition of businesses, individuals and academia who work with and provide goods and services to New Jersey’s life sciences companies. NJLSVA was founded to educate suppliers on trends in industry procurement and public policy that affect the life sciences industry, and, therefore, them as well.